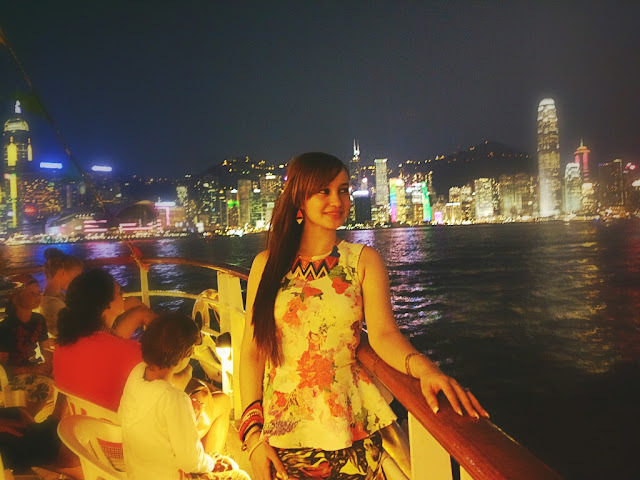 On my recent vacation to Hong Kong, one of the top things on my Must-Do List was to experience the Harbour Cruise. 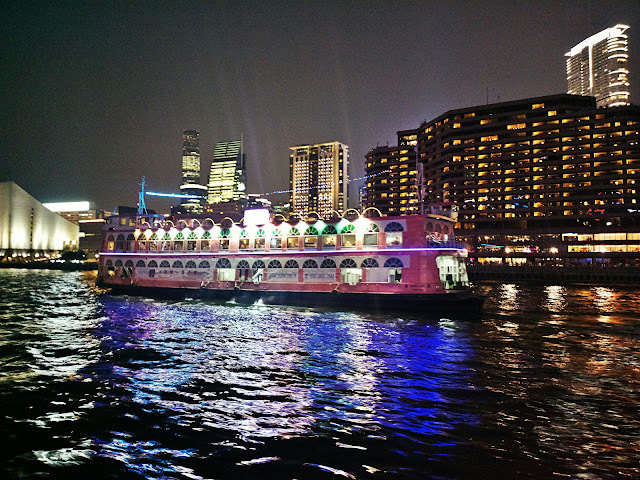 The Harbour Cruise is not just a great way to enjoy the magnificent views offered by the Hong Kong Skyline but also a way to experience the rhythm and vitality of the city. Majestic Skyscrapers and bustling harbour traffic feature on the ever changing Hong Kong waterfront scenery. 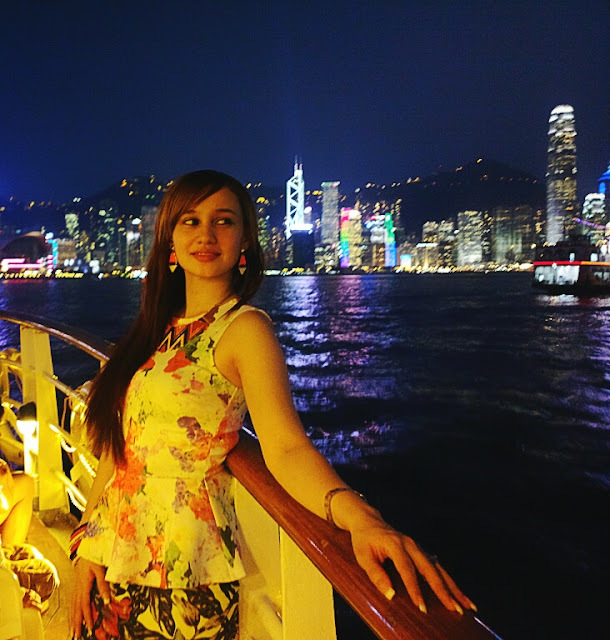 I decided to take the Sunset Cruise to enjoy the magnificent views of the Hong Kong’s skyline by a little daylight and also enjoy the spectacular neon lighting displays by dark. For the Cruise I wore a fun Print on Print ensemble , I paired a Floral Peplum Top with a Tropical Print Skirt. I carried my chic new Hand-Strap Clutch in bright green with a black hand-strap and I wore my Gold Pointed Toe Heels. I accessorised with a Colourful Metal Neckpiece, Orange & White Earrings, Colourful Bracelets in orange, white, gold & black, a funky Gold Ring and my Brown & Pink Sunnies. 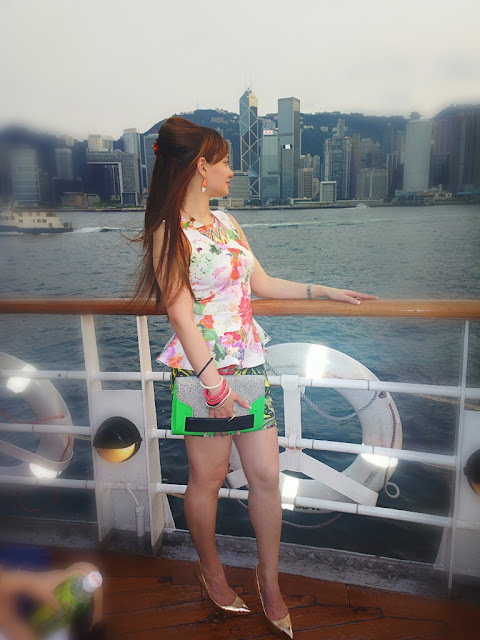 I totally enjoyed the splendid views of Hong Kong’s magnificent skyline. It looks incredibly serene as it’s cast in hues of orange and pink, yet continues to bubble with action like recently popped champagne. 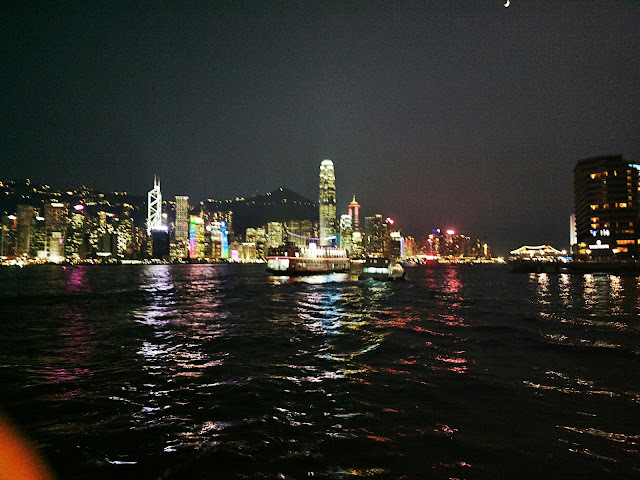 You get to take in the best sunset views of Victoria Harbour and it glides past the Western district, Tsim Sha Tsui, Causeway Bay Typhoon Shelter and the neon-lit entertainment district of Wan Chai. 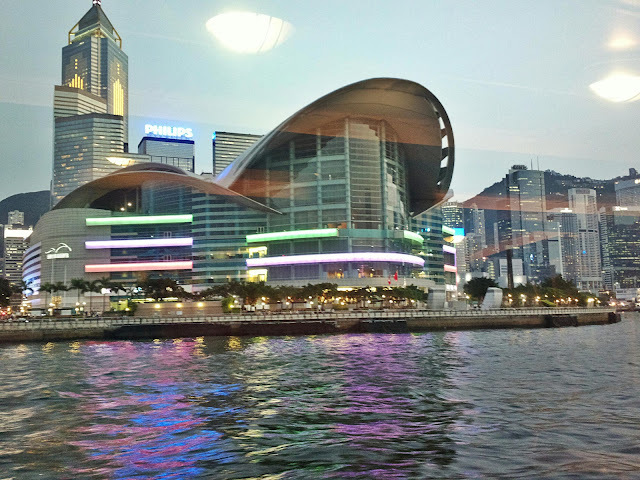 What better way to gain an unrivalled view of this urban jungle then than via the waters of the harbour itself on a cruise boat! 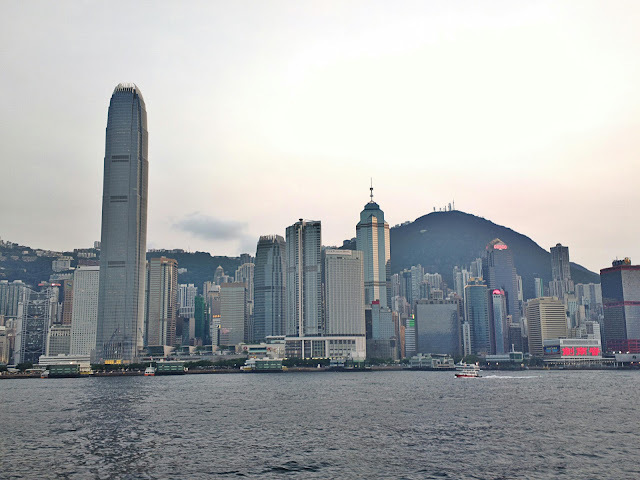 A view of Wan Chai and Hong Kong Convention and Exhibition Centre, from Victoria Harbour. I carried this chic Hand Strap Clutch in a pretty bright green with a black hand strap and wore my Golden Pointed Toe Heels. Hand Strap Clutches -Give a whole new meaning to the word ‘clutch,’ hand-strap bags are made for grabbing tight. A chic strap across the front of the regular bag means extra security, which makes each one perfect for a night on the town.With a band across the front, it’s easy to keep a tight grip on your belongings, not to mention the unique detail makes for an ultra modern twist on the traditional evening tote. I accessorised with these cool Bracelets in orange, gold, white & black and this funky Gold Ring that is pointed on both sides like a spear. As the Sun goes down the spectacular lights of the Skyline are on full display and makes for an absolutely picture perfect sight. 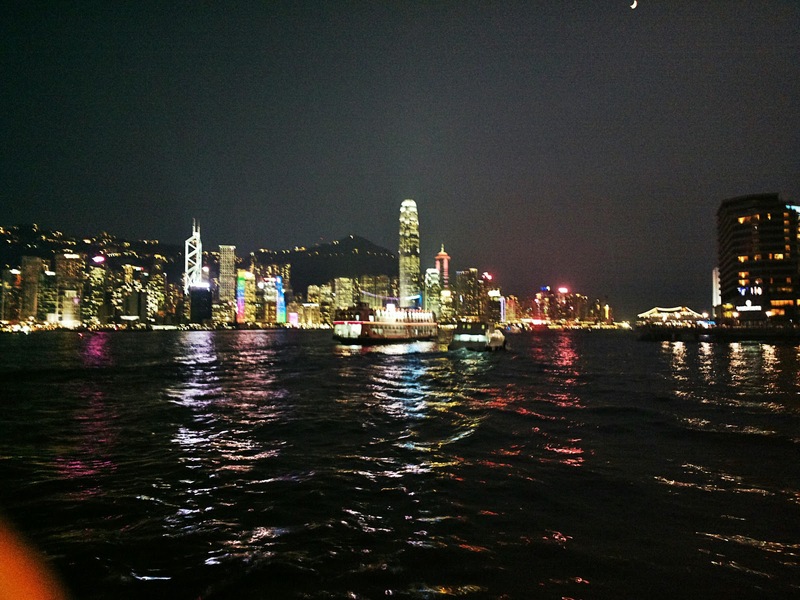 The very best time to see the fantastic Hong Kong skyline is at night when the buildings are lit up and reflecting off of the harbour. 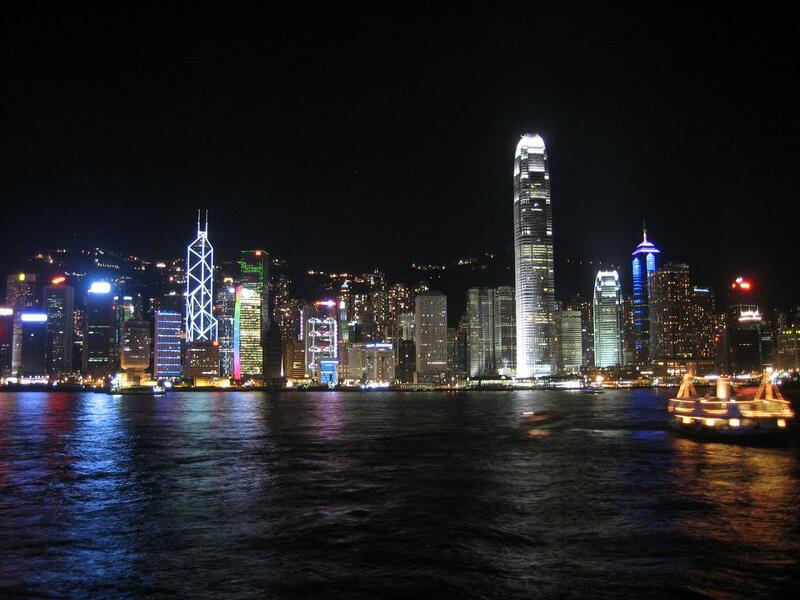 Some spectacular views of the lit up Hong Kong Skyline by Night. Nice colors! I am already following you via bloglovin! Hope you are following back! You're sunglasses are so cool! And such awsome pictures you posted. Its so beautiful there you loo amazing. All looks fabulous! I am a new follower. Have a wonderful Sunday. Hi dear, i'm following you on gfc bloglovin and fb! Now it is your turn 🙂 thanks for passing by my blog, i wait for you! We don't like so much mix of prints but your are very colourful! Nice! You look amazing!!! I like your pictures!!! The floral top is stunning! Your adventures look fabulous! Beautiful job pattern mixing! I love these floral prints and you styled them so nicely together. Such a pretty look! and I'm adoring that jewelry! The outfit from Zara and H&M looks as good as Dolce and Gabanna! Brilliant. Thanks Elle, that's just a sweet thing to say!